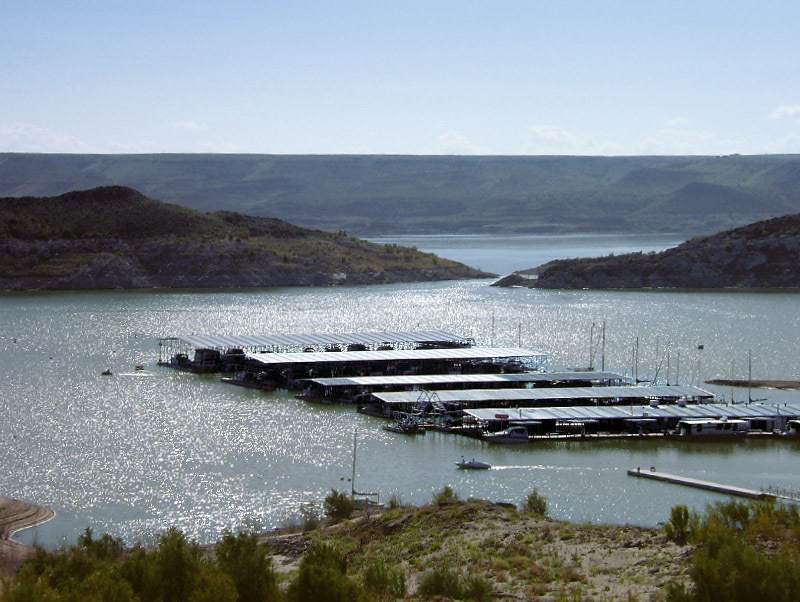 From pristine high-mountain lakes and streams to large reservoirs and lazy meandering rivers, New Mexico’s waters provide some of the best fishing in the Southwest. 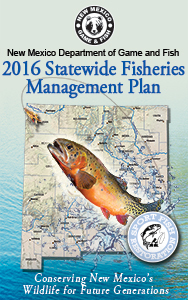 The Department of Game and Fish is committed to maintaining the quality of the state’s fisheries, improving fish habitat and restoring native sport fishes, while also providing outstanding recreational angling opportunities for the public. Anglers can find a variety of warm-water species, including largemouth and smallmouth bass, walleye, white bass, catfish, bluegills, perch and pike in lakes and reservoirs; as well as a variety of trout species in lakes, rivers and streams throughout the state. We raise and stock more than 2 million fish each year to provide recreational fishing in many of the state’s popular waters. 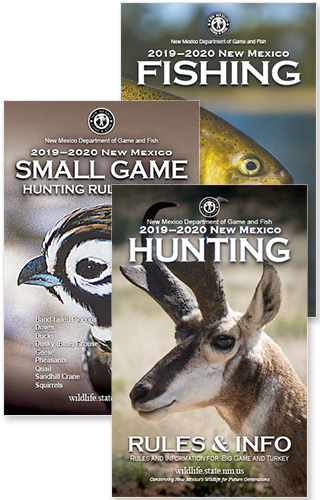 Successful reintroduction and stocking efforts also have increased fishing opportunities for native Rio Grande cutthroats, Gila trout, Kokanee salmon and tiger muskie. Angler Education Fishing Clinics offer basic fishing-skills clinics for school kids, families, community and civic groups. 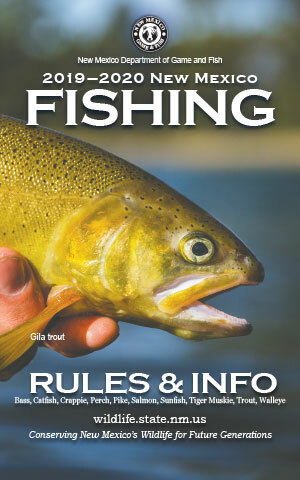 Check back often for fishing and stocking reports, rules and information, and public fishing water maps and much more. 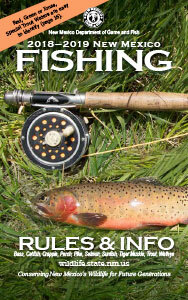 Visit the Publications page for the latest Fishing Rules and Information booklet available as a downloadable PDF. 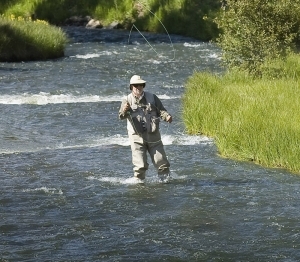 Fishing line, hooks and other debris left onshore can become deadly hazards to fish, birds and other wildlife. Help protect our wildlife by keeping our lakes, streams and waterways clean. Pick up all trash and properly dispose it or pack it out!